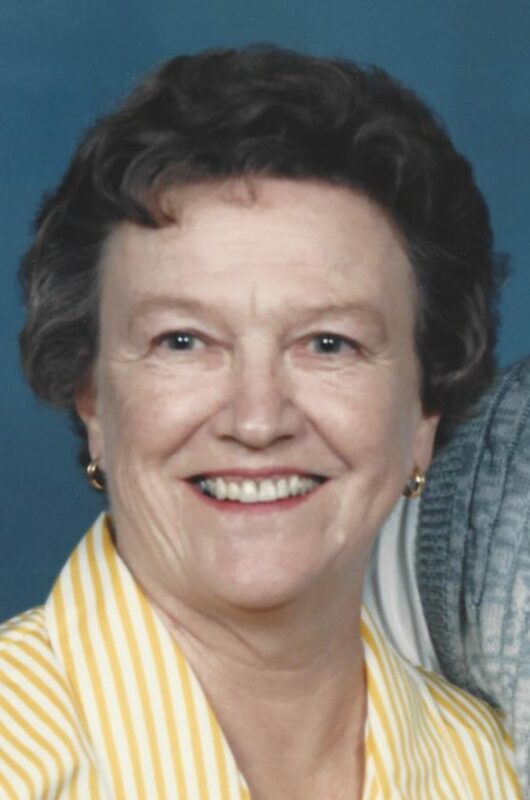 ESCANABA — Genevieve M. “Sis” Berthiaume, 94, of Escanaba, passed away on Saturday, Aug. 25, 2018, at OSF St. Francis Hospital. She was born on Sept. 17, 1924, daughter of the late Arthur and Philimine (Decaine) Anderson. On Jan. 15, 1944, Sis married the love of her life, Dean Berthiaume, in Ft. Jackson, S.C. He preceded her in death in 1996. Sis was always a hard worker. She shoveled coal and snow, push mowed the lawn, and work beside Dean while building the house and camp, and tending to their large garden that produced enough to share with family, friends, and even the deer. She loved to make clothing, needlework, re-upholster furniture, and create dozens of quilts. Sis looked forward to calling her dear friends Kay, Bea, and Kathi on the telephone daily and cherished her friendship with her cousin, Sandy. Her grandson, Mark, was always available to help at a moment’s notice and she always treasured his visits. Sis was incredibly proud of all her family’s accomplishments. In her later years, she enjoyed watching Gunsmoke and complaining about the reruns. She is survived by her daughter, Carole (Donald) Cousineau of Escanaba; grandsons, Mark (Elaine) Cousineau of Escanaba and Michael Cousineau of Grand Haven, Mich.;, great-grandchildren, Drs. Craig (Elizabeth) Cousineau, Cody (Shannon Hamilton) Cousineau, Eric (Karleen Robich) Cousineau, and Nate Hunt; great-great-grandson, Calder Cousineau. Sis was preceded in death by her parents, and husband, Dean; brothers, Art (Eileen) Anderson and Edward (Kathleen) Anderson; and great-granddaughter, Abbey Cousineau. In keeping with Sis’s wishes, private services will be held for her family. Sis’s family would like to acknowledge OSF St. Francis Hospital ER and second floor staff for their incredible care during her last days. Please visit www.allofh.com to send online condolences to her family. The Allo Coolman Funeral Homes are assisting the Berthiaume family.